If Washington, D.C. had a soundtrack, it would be played by the U.S. Army Band. A long-standing tradition of the District of Columbia, the U.S. Army Band is a must-see for all student travel groups. Founded in 1922 by Army Chief of Staff General of the Armies John J. Pershing, the U.S. Army Band is the premier musical organization of the United States Army. It continues to maintain a tradition of excellence, and plays a substantial role in events of national and international importance. The band, based on Historic Fort Myer in Arlington, Virginia, consists of 250 talented instrumentalists and vocalists, many of which have studied at some of the most prestigious music schools in the country. The band performs a range of music styles, from blues and jazz to rock and country, as well as the popular patriotic tunes that we all know and love. No matter what time of year your student group plans to visit, you are sure to catch a U.S. Army Band performance. Free concerts are presented throughout the year at venues all over the region, including the band’s home stage at Brucker Hall on Fort Myer. 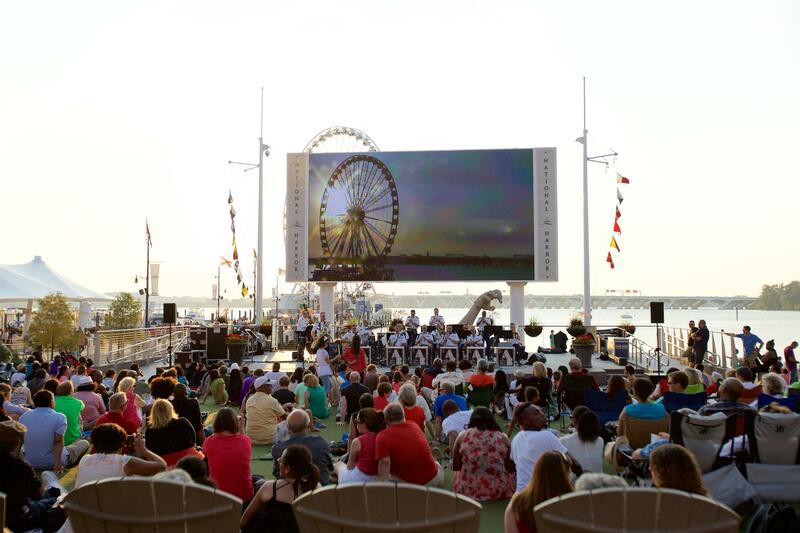 If you are planning a student trip between April and July, students can see the U.S. Army Band perform “Twilight Tattoo” most Wednesday evenings on Fort Myer. This one-hour military pageant chronicles the story of the U.S. Army, with costumed re-enactors, specialty units and today’s popular music. Another great way to see the U.S. Army Band perform is to head over to the west side of the U.S. Capitol building for the weekly Sunsets with a Soundtrack concerts (Friday at 8 p.m.). Groups can bring a picnic and relax on the stone terrace and listen to classical pop, big band, rock and patriotic music. At the end of the summer, student groups can catch the 1812 Overture Concert at Sylvan Theater at the base of the Washington Monument. This beloved summer tradition culminated with the 1812 Overture, complete with live cannon fire supplied by the Presidential Salute Battery of the 3d Infantry Division. The fall ushers in the band’s indoor concert series at Brucker Hall, as well as many performances in honor of Veterans Day, which take place all over the region. The U.S. Army Band also kicks off the holiday season with the American Holiday Festival at DAR Constitution Hall. 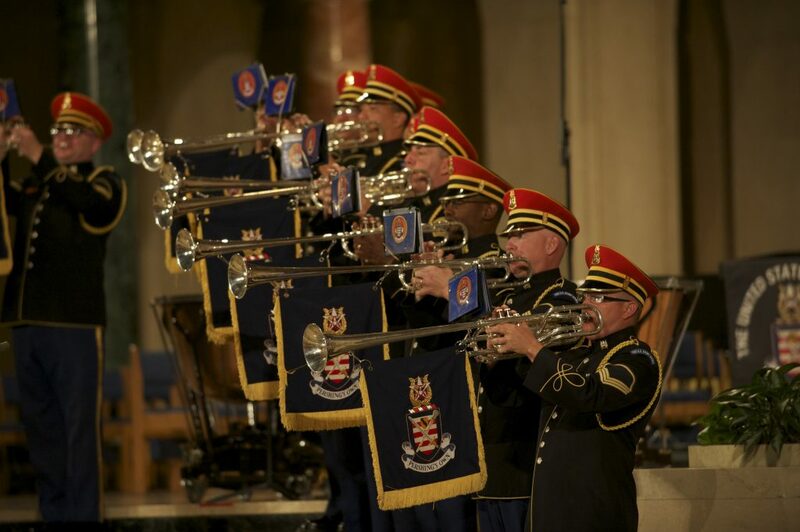 The Army Blues performs A Stan Kenton Christmas and the Duke Ellington Nutcracker, while concerts by the Army Chorus, Army Voices and other chamber groups are held throughout the Washington, D.C. area. The U.S. Army Band’s mission goes beyond ceremonies, public performances and memorial affairs. The musicians have a goal to engage with communities and connect with people through music. The band aims to help students build strong life skills, appreciate music and possibly discover a passion for the arts. During the school year, teachers or band leaders—from elementary schools to ungraduate institutions—can bring student groups to Brucker Hall to take a tour of the facility and learn more about the U.S. Army Band. From September to May, groups of students can view a video presentation about the band, observe the different elements of the band’s rehearsals, and speak with the musicians and conductors on subjects specifically related to their interests. They can also pick up some U.S. Army Band memorabilia to take home as a souvenir. The U.S. Army Band also hosts several annual instrumental workshops at Brucker Hall, including the Tuba-Euphonium workshop, the American Trombone workshop and a Strings workshop. Specialists, educators and musicians from around the world gather for several days of masterclasses, recitals, tutorials and concerts. This is a great opportunity for school bands and budding young musicians to hone their skills and learn from some of the best musical performers. Between the incredible concerts and informative tours and workshops, the U.S. Army Band is something all student travel groups should experience. If you’re organizing a student tour to Washington, D.C., check out this list of upcoming performances and events, and be sure to add one to the agenda. Fridays at 8 p.m. on the West Side of the U.S. Capital, Washington, D.C.
August 13, at 8 p.m. at Sylvan Theater, Washington Monument Grounds, Washington, D.C. If you are interested in attending a performance, and you have a student group of more than 15, you can contact Jen Maly (jennifer.s.maly.civ@mail.mil) to make a group reservation. To schedule an educational outreach event or a student tour, please contact Army Band Operations.